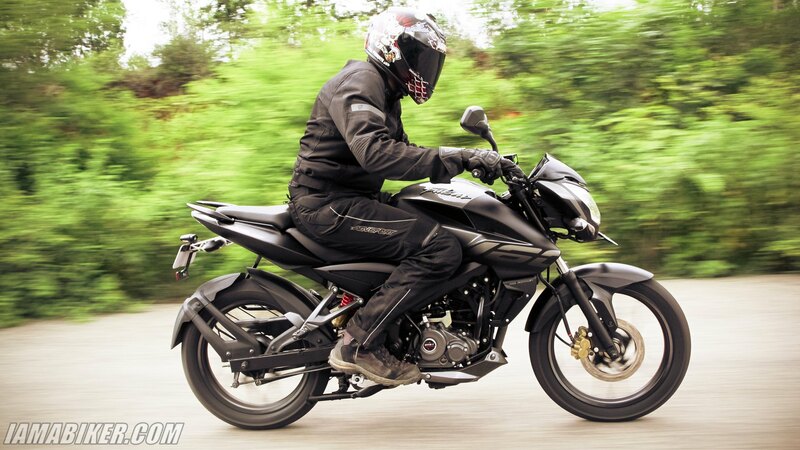 Pulsar NS 160 review | IAMABIKER - Everything Motorcycle! It is always complicated for us to understand what a manufacturer is thinking and why they do things the way they do. The Pulsar NS 160 has actually been around for a long time and was already being exported to a number of countries before it was launched here. With the AS series, something really did not click; most probably because of the Pulsar 220. The 20 cc of extra capacity and lower pricing probably swayed the crowd towards the hero of the previous generation. But let’s leave that and focus on the fact the Pulsar NS 160 is finally here and we have had the chance to ride it. The Pulsar NS 160 has the same design as the NS 200. But being of a smaller capacity it now has smaller and different versions of the suspensions, swing arm, tyres and brakes. The frame however continues to be the well sorted out perimeter one that we loved so much on the bigger NS and the RS. One thing that we are happy about is that Bajaj did not just go about plonking the same engine from the AS 150 into the new smaller NS. It actually has a revised engine that gets a new cylinder, piston and a balancer shaft. And before you ask, it has as twin spark (DTSi) setup. This 160cc engine with a four valve setup churns out decent numbers of 15.5 BHP @ 8500 RPM and 14.6 Nm @ 6500 RPM. As you would have already guessed the power is quite peaky and you really need to keeps the revs high to get moving. But that’s not an issue though as this little engine loves to rev and maintains its composure while doing that. Its only post 8-9K RPM that there is a slight vibe that creeps in, but it still is far from annoying. 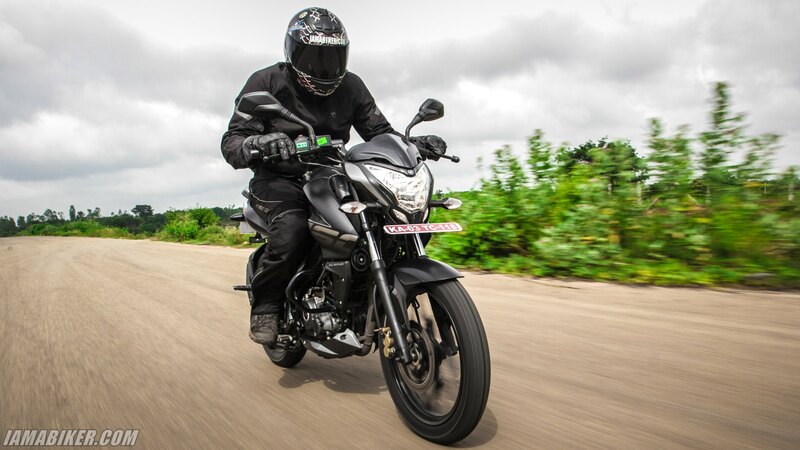 City riding is helped by the rather short initial gearing which compensates for the lack of bottom end torque. This means that you are always busy in traffic with the gearbox. Not a huge deal breaker as the gear box is slick and like I said earlier the engine is happy to rev. 0 to 100 km/h came up in about 16.5 seconds and top speed was a 120 km/h (speedo). The engine is most comfortable around the 75-80 km/h mark and even with a naughty right hand we got a steady mileage of 39 km/l. 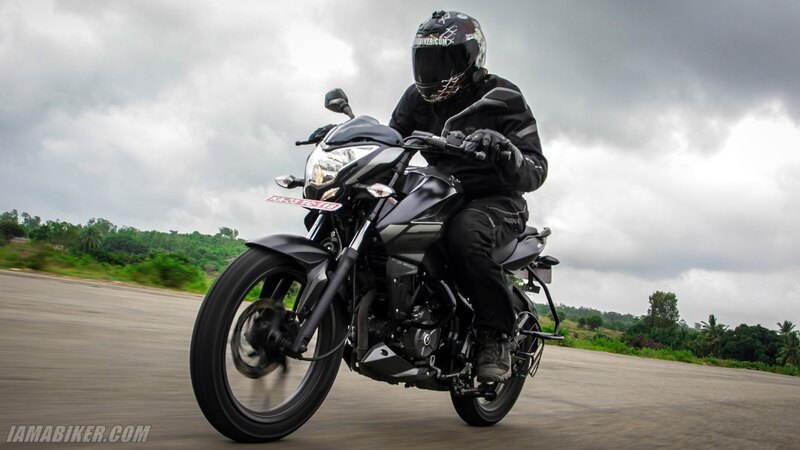 Interestingly in this segment the kick starter is a huge deal breaker and Bajaj has ensured that the Pulsar NS 160 has all the elements to make it click in the market. Handling wise things are actually as expected. Being of the NS family we expected no less that a good handling machine and we were not wrong. The bike feels light to ride and easy to change directions on. The huge turning radius though is something that you will need to get used to, especially in tight traffic when you are creeping up between bigger vehicles. And like its bigger sibling if you are in the mood to push it, the Pulsar NS 160 responds well and is easy to throw around and quite stable while you are at it. At 142 kgs it may not be the lightest motorcycle around but the Pulsar NS 160 has a very overall light feel and an “anybody can ride it” sort of character. Seat height though is a bit of a concern at 805 mm, but we are sure it would not affect most riders and just a matter of getting used to. The number that really is a pleasing to hear is that of the ground clearance and it’s a very good 176 mm. This ensured that we never had any incidents of scrapping the underbelly even with a pillion on-board. We were a bit surprised to see the Pulsar NS 160 to have a rear drum brake, but we guess that will come as a “festive offer” along with a new colour option or a single channel ABS at a later time. The front 240 mm disc brake though is great and has a sharp and predictable behaviour. It really helps you brake with confidence and not once did we feel it was inadequate. The headlights are good and always ON and definitely good for most conditions. Bajaj has come a long way in terms of build quality and the current generation NS’s are a testament to that. But their machines still need to learn to age better compared to its competitors. 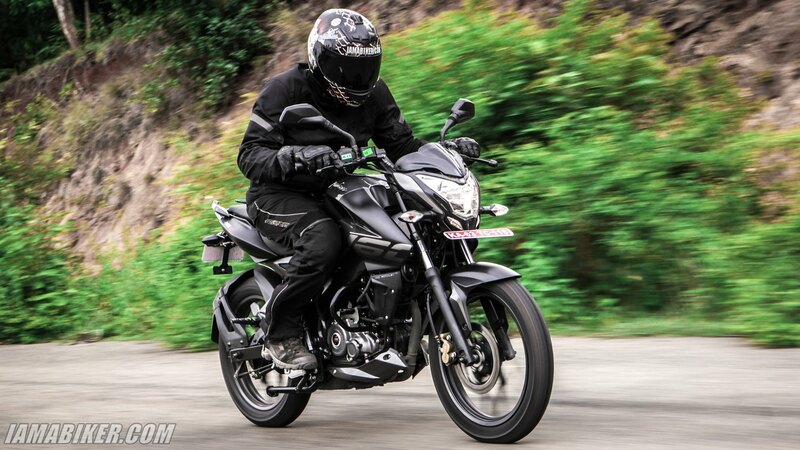 The Pulsar NS 160 we have here sure looks like a step in the right direction and is a fun and involving motorcycle for those looking to upgrade from a smaller capacity engine.